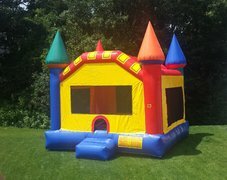 Bounce House Rentals | FroggyHops.com Minneapolis MN. 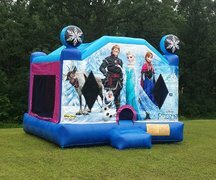 Bounce house rentals are a classic addition to any company party, church celebration, school carnival, or birthday party! 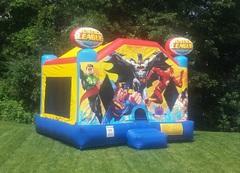 We feature many popular inflatable jumper rental options including the classic castle bounce houses and more specific themes like Justice League, Disney Princess or Disney Frozen. Leading the industry as the best service provider, Froggy Hops offers the BEST bounce house rental experience in the Minneapolis and St Paul, MN area! 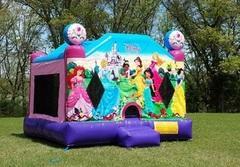 What's Included in a Bounce House Rental? Most everything is included! We offer FREE delivery to most Minneapolis and St Paul communities. This delivery time is communicated to you in advance so you will know when to expect your delivery truck to arrive. (No surprises!) Delivery times are ALWAYS prior to rental periods to ensure on-time service! Additionally, we will set-up your inflatable and safely secure it to the ground with stakes on grass or sandbags indoors. There are additional fees for alternate set-up surfaces or securing methods. Your rental comes with a 100 foot, 12-gauge, outdoor extension cord at no additional charge. Froggy Hops is known for the incredibly awesome team of staff members that provide the BEST service in the industry! 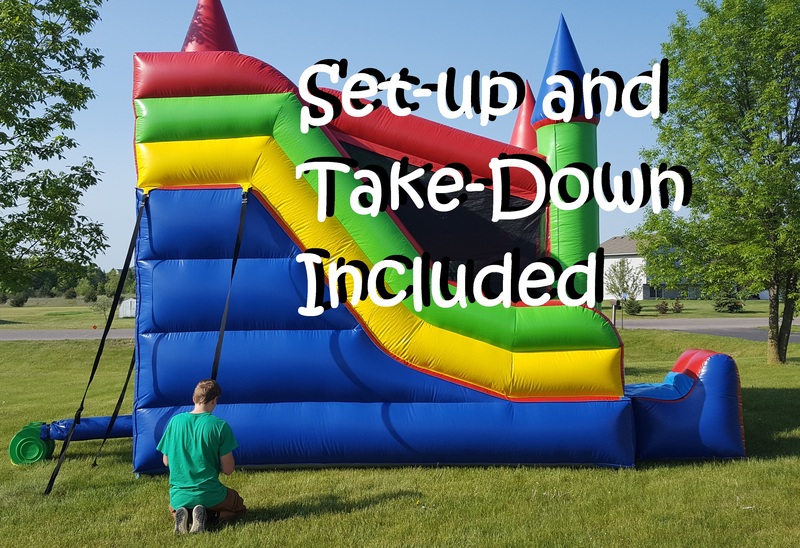 Next, this team will ensure that the bounce house is properly cleaned, they will go over any operational questions you may have, and to top it off, they will leave you with a fun kick-off by honoring the VIP of your event! Although it is not required, many Renters choose to be home during delivery because they enjoy this part of the experience the most! And finally, we will pick-up the bounce house sometime after the end-time on your contract. It is as easy as that! 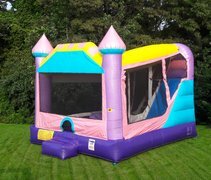 Start by selecting "More info" on any of the bounce houses!